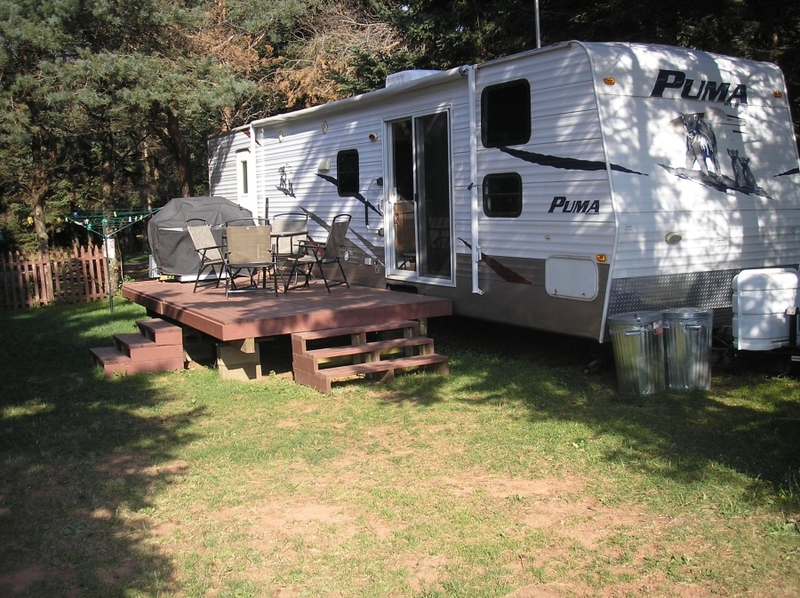 2 bedrooms - King bed, slide out in master bedroom, 4 bunks, double slide in kitchen-living room. Rate $800.00 per week in season plus taxes and site fee. Deposit required. Bedding and towels upon request ( $20.00 extra per person). Check in time is anytime after 3:00 p.m. and check out is anytime before 10:00 a.m.
Open June 1st - until end of September. The first 3 weeks of June and after Labor Day, 50% off weekly rates. One family per site - 2 adults and 4 children. Nightly rentals in June and September only.